Foil stamping and digital offset printing. Crane Lettra 110 Cover, fluorescent white. Waste Not Paper envelopes in slate. 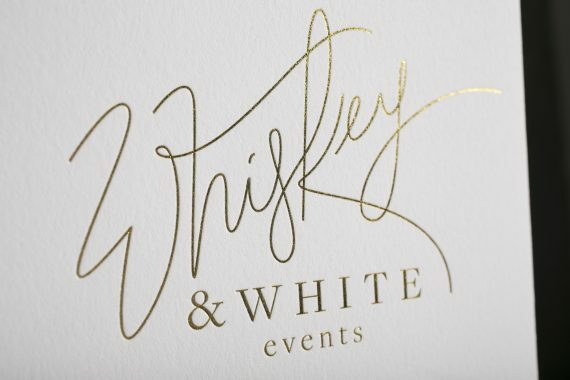 CMYK + gold shine foil. 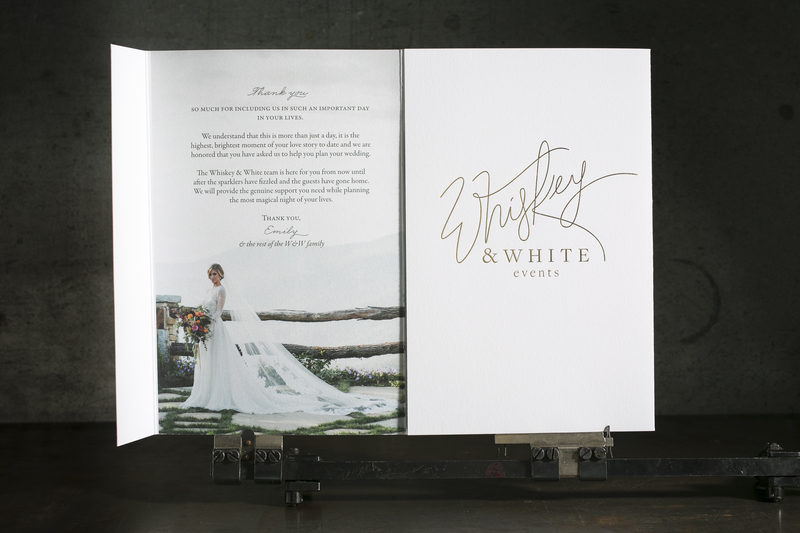 the piece: we created a folded marketing piece (8.5″ x 18″) featuring a series of portfolio images for Emily at Whiskey & White events. 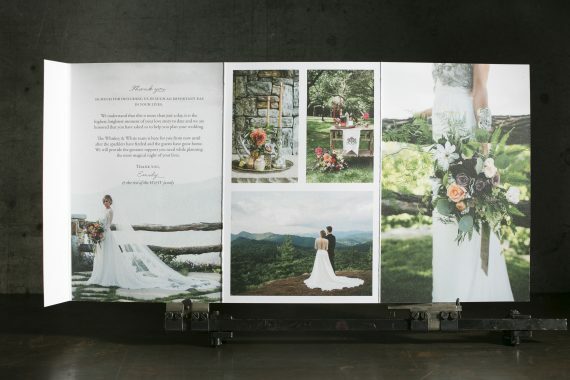 The interior of the piece showcases three large panels with full color digital offset printing, while the exterior shows off the company logo and intricate patterning in gold shine foil. 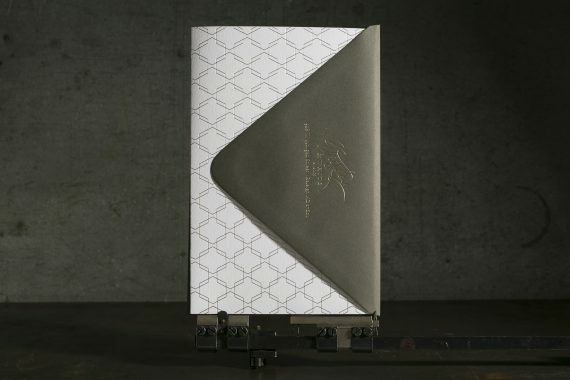 In addition to the cards, we foil stamped slate gray Waste Not Paper envelopes with the business logo and address to keep the look consistent.